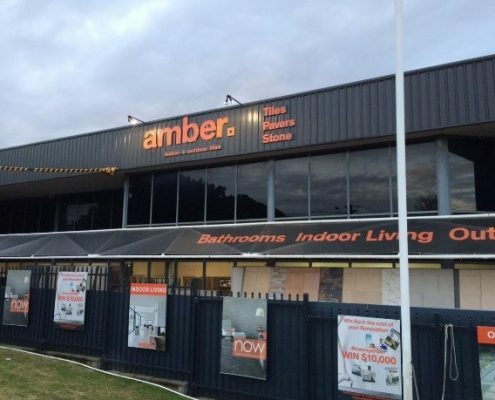 How HARMONiQ helped Amber Tiles, one of Australia’s leading flooring and walling retailers, to better manage their information and streamline their processes. Started in Sydney in 1973, Amber Tiles has since grown to include 28 stores, with 25 in NSW, four in QLD and one in ACT. 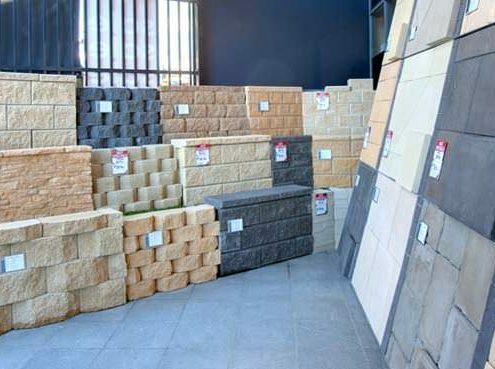 With over 40 years of experience, Amber Tiles provides a variety of flooring and walling products to their customers. Recognising their immense inventory of products, and a growing number of franchise locations to manage, Amber Tiles implemented the Micronet Distribution Software in 2001, effectively shifting them from a primarily paper-based management system to a computerised one. This initial transformation benefited the business tremendously, and has been credited with much of the company’s subsequent growth. However, 15 years after the initial implementation, a number of gaps started to emerge. As a company, they recognised that they were losing out on valuable return business by not doing enough to engage their customers to stay top of mind. Internally, their systems also had gaps in useability. With software that was difficult and complicated to use by today’s standards. And with a growing number of store locations, Amber Tiles were struggling to efficiently communicate and organise with their numerous franchisees. With the level of growth they expected to achieve, and to ensure that their business was running at its most efficient and effective, they needed a system that could help them tune their business precisely to help them achieve the specific goals they’d set themselves. Keen to achieve these goals while staying one step ahead of the competition, Amber Tiles launched yet another systems upgrade to drive company-wide improvements in customer communication, staff productivity and franchisee relationships. They chose to partner with Micronet Systems, the same company behind the successful implementation of their distribution software. This time, implementing their powerful new Business Tuning Software, HARMONiQ. “One of the most important things to us is our relationships with trade customers,” shared John, “Our other buyers, people renovating their houses for example, they typically purchase every five to seven years. Trades people deal with our products day-in and day-out. Amber Tiles lacked a platform that would allow them to easily and effectively stay in contact with these valuable customers on behalf of their franchisees. Therefore, they were leaving money on the table and letting opportunities slip through the cracks. Functionally, their 15 year old upgrade was still delivering benefits, but John notes that there were opportunities for improvement, particularly for their everyday users. With Amber Tiles bringing on new staff regularly, their software was proving difficult to pick up, and was therefore costing them time and money to train users extensively. Even their long-time staff rarely took advantage of the numerous features available to them due to the complexity of the software, and this translated to a number of inefficiencies. In addition, as a franchiser with close to 30 stores nationally, Amber Tiles had numerous franchisee relationships and operations to manage effectively. To sustain their growth and profitability at this level, they needed to ensure they had the right systems in place to provide their stores with a solid infrastructure, the right technology, and operational support. However, with constant inefficiencies managing numerous sites, and a growing number of unsatisfied users, Amber Tiles did not seem to be meeting their users’ expectations. Never one to get left behind, Amber Tiles was always looking for next strategic step to stay ahead of the competition. “One of the main reasons we were looking to upgrade is to take the next logical step. 15 years since the last company-wide upgrade is plenty of time, and we want to make sure that we’re taking advantage of what’s out there in the market, and that we weren’t falling behind the times. The ability to scale their solution to help them achieve their growth objectives for years to come. Based on their extensive list of requirements, Amber Tiles chose to implement HARMONiQ Business Tuning Software to help them achieve their growth and business performance objectives. “We had a long-standing and positive relationship with the Micronet team, so when we heard about their new HARMONiQ software, we were definitely interested in pursuing that conversation further. “In addition to the powerful inventory management, accounting and business intelligence capabilities, HARMONiQ also included the ability to market to our customers, to stay in touch in a far easier, and simplified way. Most of our franchisees don’t have access to a marketing department, and now we have software with the in-built capability for them to take advantage of that feature themselves. “What really struck me about HARMONiQ was how customisable it was. We could easily simplify it, include features, exclude features, all based on our specific requirements as a franchiser. Improving customer relationships was high on the priority list for Amber Tiles going into the project. “Having seen how HARMONiQ works, and understanding the power of its marketing tools we know exactly how we’re going to drive value out of it. With easy segmentation of our database, we can quickly divide our contacts by location, industry, or product for example. With an in-built integration with Campaign Monitor, a leading marketing automation platform, we can send beautifully designed email and eNewsletters to our customers and prospects – maintaining a strong brand presence and staying top of mind. HARMONiQ is platform designed for both high-performance and useability. It’s intuitive and user-friendly interface helped Amber Tiles staff quickly become familiar with the functionalities and started producing excellent results swiftly. “Overall, HARMONiQ has proven to be very easy to use, intuitive and logical. This is becoming especially obvious as we get new staff members, they’re finding it easier to pick up the software and run with it. When you’ve got 90% of your users consistently using the POS side of things, and the other 10% using the Accounting features, that’s a significant improvement in productivity when all your users are happy and efficient. “HARMONiQ has also led to significant efficiencies between us and our franchisees with its powerful multi-site functionality. It allows us to trade electronically with all our franchisees, with a minimum amount of duplication in terms of time and effort. “We have lots of plans in store for HARMONiQ. Right now, we’re very much focused on getting all our stores on to the new software. At the moment we’re using maybe 40% to 60% of the features in the software, and still seeing so many benefits. Are you considering a new business management platform? “If you’re looking to implement a highly developed software like HARMONiQ, you’ve got to be prepared to invest time to get the desired end result. If you want a product off the shelf, you get what you pay for. But if you’re prepared to invest the time and resources, you can really make a difference in how easy, simple and powerful it is for the users, and that’s where we get the most benefit.